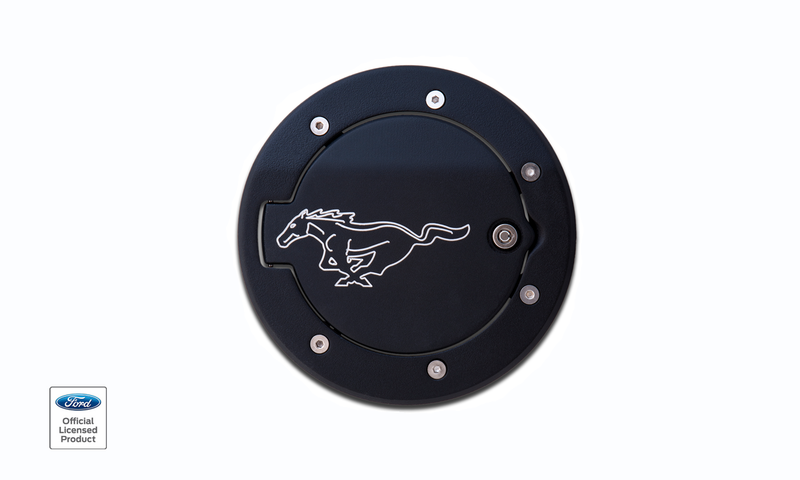 Add a Ford Licensed Billet Aluminum Product to your Mustang GT with the Billet Aluminum Fuel Door from Defender Worx. 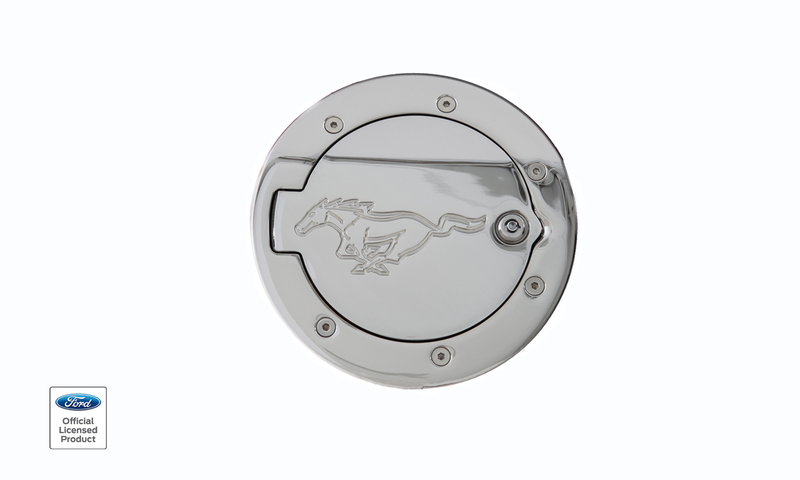 Offered in two styles (Mustang Word and Dancing Pony), and two different finishes (Chrome and Two Tone), this locking fuel door is the perfect touch to your already sleek Mustang GT. 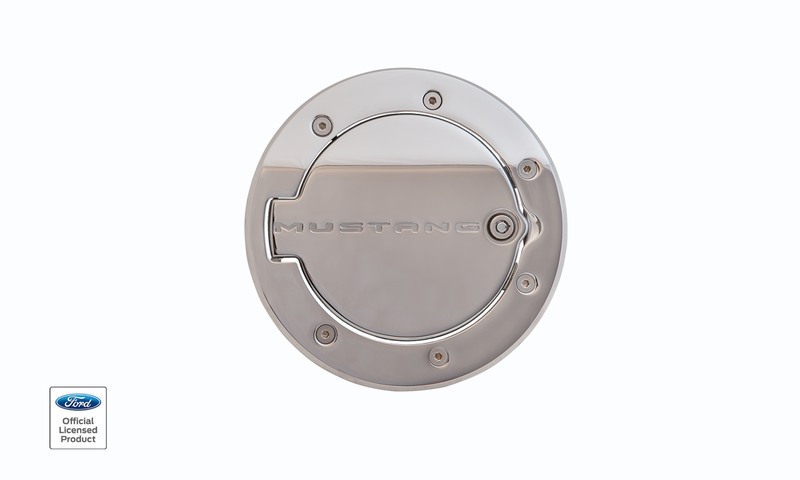 This product is constructed from aircraft grade 6061 Billet Aluminum, and again is an official Ford Licensed product.